Thank you for your interest in our collection. 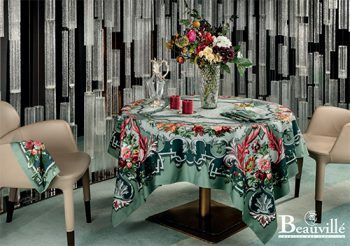 The Beauvillé brand has become a must-have for tablecloths and linens that have been printed for more than two centuries in Ribeauvillé, France. Subscribe to our newsletter to stay informed about our offers.